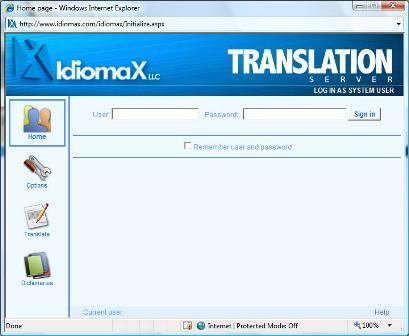 IdiomaX Translation Server is the enterprise translation solution that offers IdiomaX. This system has been developed to offer a translation service to authorized users connected to the company Intranet. Using this service you can translate whole documents, short texts and Web pages between several language pairs or simply search for a word or sentence in one of the translation dictionaries.